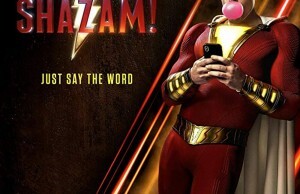 I bet this is gonna make you smile. 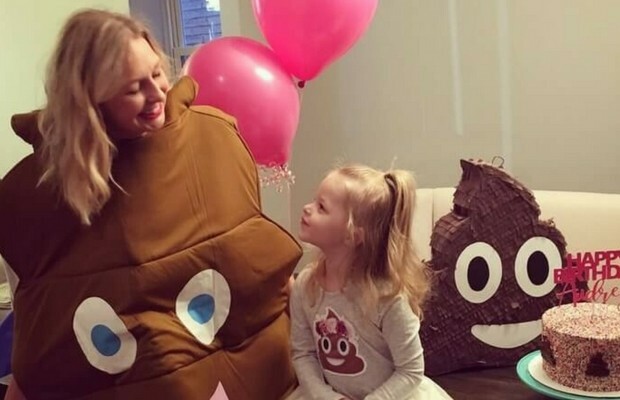 The attitude of this three-year-old is simply adorable. 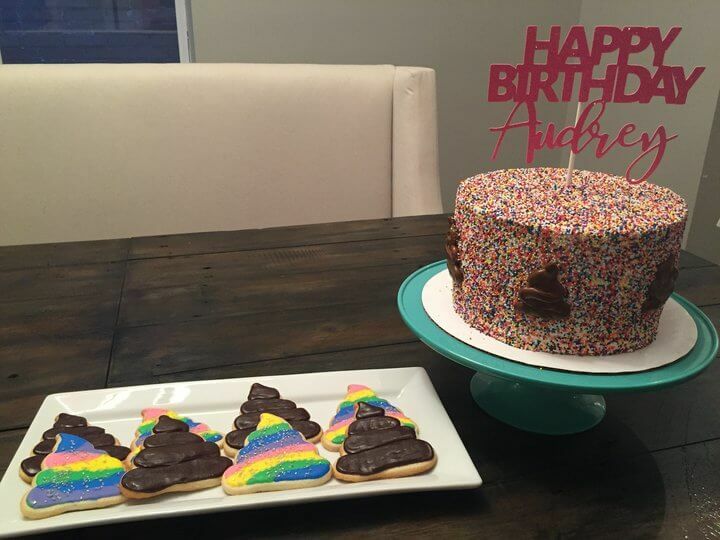 However, the theme she kept insisting on having for her birthday party can’t be called that way, not even close. 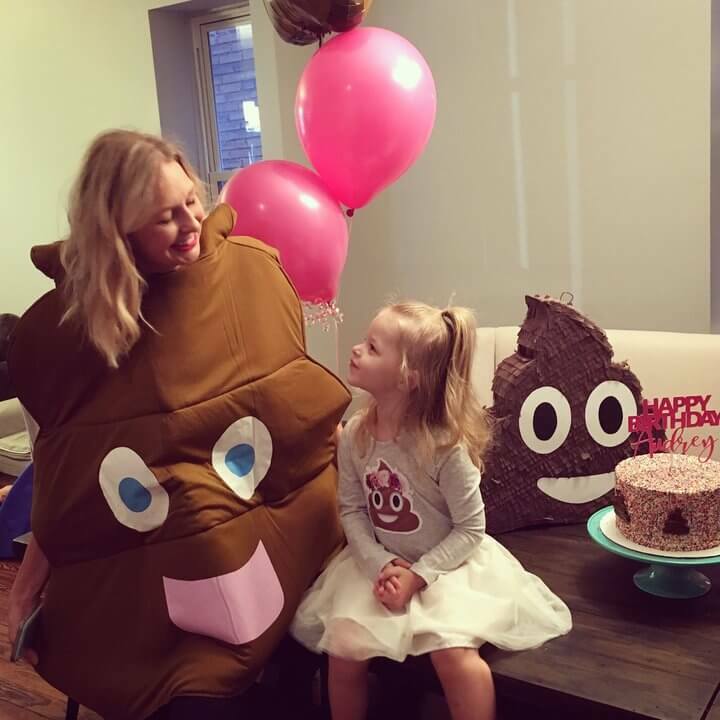 When Audrey was asked what theme would she like for her birthday party she gave a quick and straightforward answer – “poop!”. Rebecca and her husband after a while decided to let the kid have what she wants and let them self completely to the preparation of the weird birthday party. 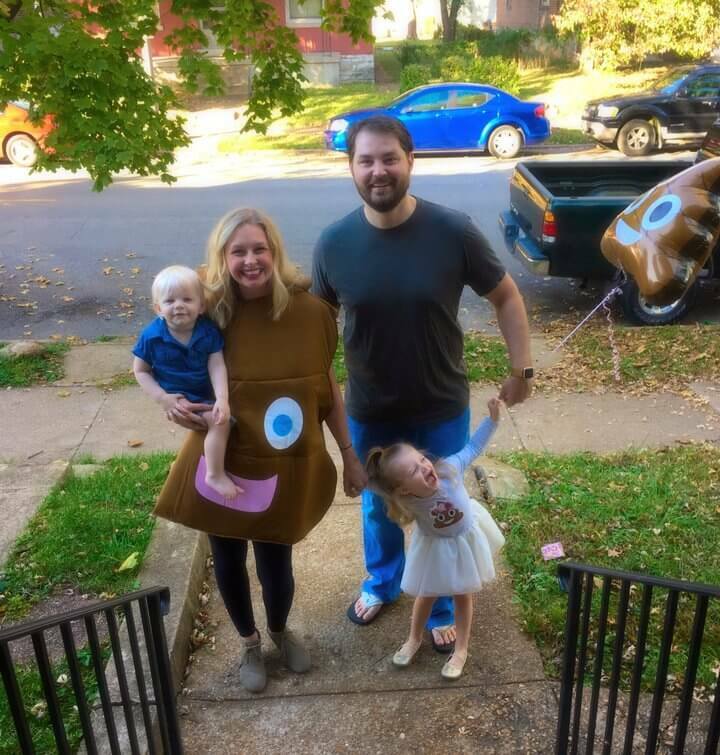 So, when October came into the family’s home in St. Louis, poop balloons, poop cake, even a mother’s poop costume arrived as well. 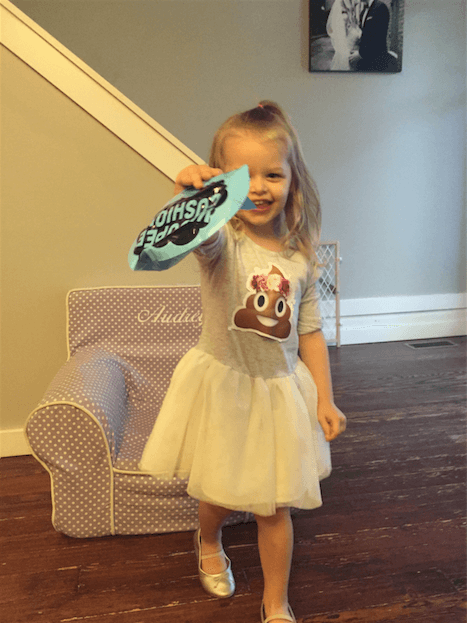 On their big surprise, everyone loved it and thought it’s hilarious! 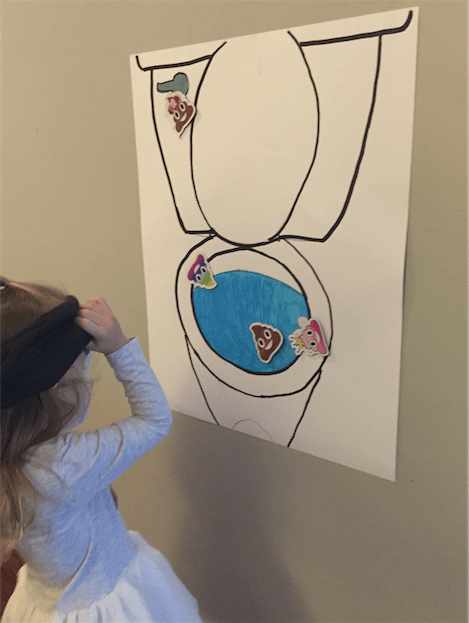 So next time your child asks for something that you think is weird or dumb, think about it for a second and maybe he knows exactly what he wants. “I expected the grandparents to question it, but they all just laughed when I told them,” the mom said. What kid wants, the kid gets! 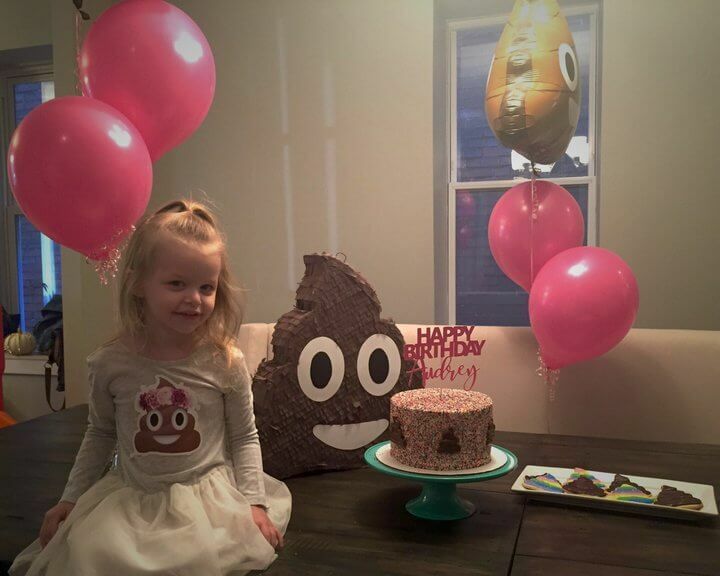 The poop themed birthday party! Don’t forget to share this hilarious family story with your friends!